I was taught that these were poisonous. Since then I distrust the colour white. Nice contrast berry to nail. Are you Punchyish? Well, that’s good! Do you think the professor is? Is he? I’m not quite sure that the professor’s humour is my cup of coffee exactly… It would be lack of sense of humour on my part. In that case I’m completely confused. Clearly, it’s me, it’s not you. 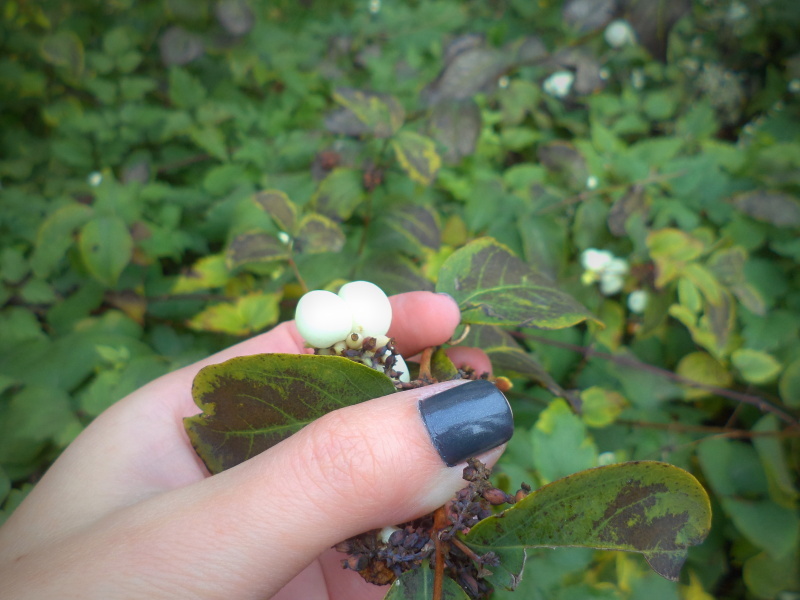 Snowberry is not for human.– It is true.